Opt for Structured Network Re-cabling in Organizations so that they mean Business! Re-cabling a network is simple. You need to upgrade the network infrastructure to make it faster and reliable. You need to hire an expert cabling contractor who can deliver diverse and rapid results according to the nature of your business. 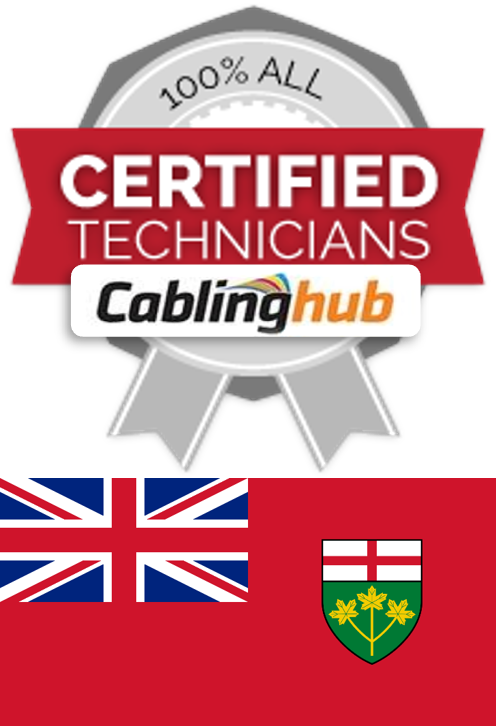 For businessowners in Ontario, CablingHub offers comprehensive data cabling services to make their business perform like a spectrum. Sometimes, business owners get so busy in managing their business that they forget about the ambience of the network infrastructure and how it creates a big impact on their corporate relations. Whether it is a commercial office space, warehouse, manufacturing unit, plant, working space, hospital or restaurant, you need to pay attention to the data network infrastructure. Keeping your office or factory talking means stable network and less maintenance expenses in the future. So, structured cabling in your commercial property guarantees good business sense. What Network Cabling Services in Ontario do we offer? Whether you need to install a new network infrastructure or upgrade the existing one, we can help you. We deliver customized design-and-install plans & cabling designs to make your network perform steadily. If you want a cabling installer to improve the performance of the network, choose our cabling installation, maintenance and repair services in Ontario. 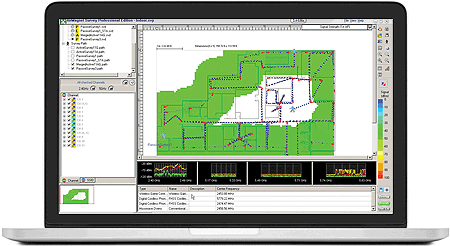 Are you looking for someone to help you install an industrial network infrastructure? Do you want to upgrade the cabling services in your organization? Our team is experienced in redesigning cabling infrastructure according to your business needs. Trust us for quality, expert fiber cabling services in Ontario. We are your preferred low-cost, low voltage data cabling installation company. We provide free no obligation estimates for all the businesses anywhere in Ontario. We have access to all your cabling needs and therefore are your one-stop supplier from the patch panels to rack mount enclosures. From a simple network or single data drop to the installation of a fully operational data cabling system, we offer trusted and reliable cabling network for years to last. Telephone cabling or voice cabling installation is the backbone of any business communication system. 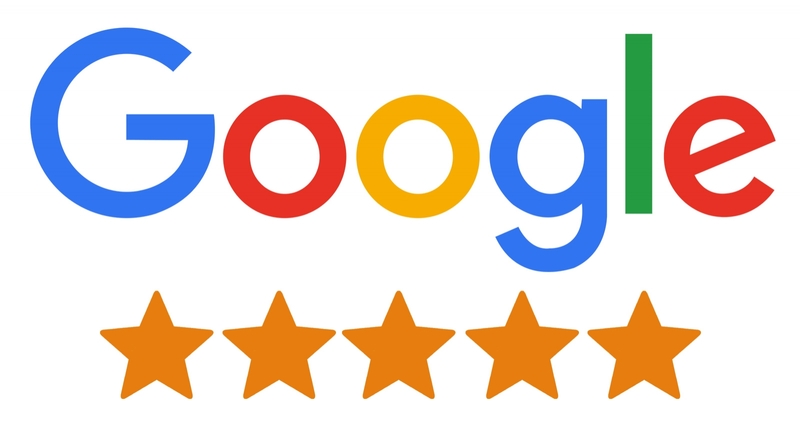 CablingHub can help you add new lines, set up new telephone systems or upgrade an existing voice cabling into a professional high-quality voice cabling giving you guaranteed unified connectivity. The best cabling company of Ontario offers comprehensive wiring solutions for video, voice and VoIP requirements. CablingHub will design, install and support the whole security system including cameras, monitors, recording equipment, CCTV cabling, multiplexers and console units. The combination of skilled CCTV installers and experienced IP networking designers makes CablingHub uniquely positioned to help you in your transition from traditional analogue security solutions to digital IP CCTV solutions. We are experienced sound contractors of Ontario and have paging technicians who have been engineering, installing and repairing business paging systems with great success. CablingHub will meet your needs and provide you with the best communication interface that your business needs to run smoothly. Businesses across Ontario trust CablingHub to provide the information and understanding they need for effective design, installation, and verification of their wireless/Wi-Fi infrastructure. CablingHub helps you to install new data cabling, re-cabling in old warehouses, offices, hospitals, restaurants and factory spaces! We not only offer comprehensive cabling services but we also promise regular wiring maintenance plans to help you keep your network stable. Call +1(416) 273-7615 to discuss your cabling needs and we will help you with stunning data transformations. Toronto, Ottawa, Mississauga, Brampton, Etobicoke, Scarborough, Hamilton, London, Markham, Vaughan, Kitchener, Windsor, Burlington, Greater Sudbury, Oshawa, Barrie, St. Catharines, Guelph, Cambridge, Kingston, Thunder Bay, Waterloo, Brantford, Pickering, Niagara Falls, Peterborough, Kawartha Lakes, Sault Ste. Marie, Sarnia, Caledon, Norfolk County, Welland, North Bay, Belleville, Cornwall, Haldimand County, Quinte West, Timmins, Woodstock, St. Thomas, Brant, Stratford, Orillia, Prince Edward County, Clarence-Rockland, Brockville, Owen Sound, Thorold, Port Colborne, Kenora, Pembroke, Elliot Lake, Temiskaming Shores, Dryden and all major towns across Ontario. CablingHub (ON) is a professional network cabling company providing structured fiber optic cabling services, certified network installation & maintenance, Cat5, Cat5e, Cat6 data cabling, paging installation, voice/phone/VoIP wiring, wireless site survey, Wi-Fi design, security camera & CCTV installation services since 1995. CablingHub provides quick network cabling solutions in Toronto, Mississauga, Brampton, Vaughan, Barrie, London, Kitchener, Waterloo, Cambridge, Guelph, Montréal, Vancouver, Calgary, Edmonton, Ottawa, Winnipeg, Victoria, Halifax, Oshawa, Windsor, St. Catharines, Kingston, Hamilton, Niagara, Ajax, Pickering, Burlington, Oakville, Milton and all major cities across Canada.